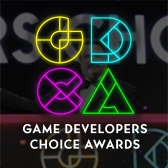 The Game Developers Conference has polled more than 2,000 North American game developers who attended GDC 2014 to compose the third annual State of the Industry Survey, which seeks to provide a snapshot of the games industry and illustrate industry trends ahead of GDC 2015 in March. Notable trends shown in the poll results include console development on the rise, digital and microtransaction sales dominating profits, and other trends that offer a glimpse into the future landscape of the games industry. 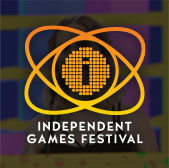 The 2015 State of the Industry Survey is the third in an ongoing series of yearly reports that offer insight into the shape of the industry as a prelude to GDC 2015 in San Francisco. 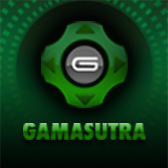 Organized by the UBM Tech Game Network, GDC 2015 will take place March 2-6 at the Moscone Convention Center in San Francisco, California. As the latest generation of console hardware matures, a larger percentage of developers are moving to make games for Sony's PlayStation 4 and Microsoft's Xbox One, compared to last year. 26 percent of developers surveyed said they're currently working on a PlayStation 4 game, up from 14 percent last year, while 22 percent said they're currently working on an Xbox One game, up from last year's 12 percent (note that games often are developed across multiple platforms). But PC and mobile still reign in terms of platform popularity; 56 percent of survey respondents said their current game will be released on PC and 50 percent said their current project will release on smartphones or tablets, as compared to 53 and 52 percent (respectively) a year prior. Looking ahead, 29 percent of developers surveyed said they expect their next game to be on PlayStation 4, and 24 percent of respondents expected it to be on Xbox One, compared to 20 percent and 17 percent, respectively, of those surveyed last year. Interest in mobile development slipped slightly, according to the survey; while 53 percent of those polled think their next game will be released on PC, 48 percent expect to release on smartphones or tablets. In an effort to suss out where developers do their best business, this year's survey included a question about where respondents make the majority of their profits. 29 percent said they made most of their profits from direct sales to consumers or digital sales, while 21 percent named micro-transactions as their primary source of profit. Just 13 percent of those surveyed said they saw the majority of their company's profits from sales at retail. 19 percent said they saw no profits, were non-profit or didn't know where the majority of their profit came from. Those surveyed were also asked how their company's profits last year compared to the year prior. 41 percent said profits were higher in 2014, and 9 percent said profits were higher in 2013, while 20 percent said profits remained the same year-over-year. 28 percent admitted they weren't sure. Survey respondents were also asked whether or not their company expanded or contracted during 2014 in terms of staff; 44 percent said their ranks had swelled during the year, while 15 percent said they lost people. 1 percent said their company closed entirely and 38 percent confirmed their headcount remained the same throughout 2014. 12 percent of developers surveyed said they're working on a game they consider to be an eSport -- competitive, skill-based multiplayer games. 79 percent of all respondents said they perceive eSports to be a long-term, sustainable business. "Twitch is making broadcasting competitions very accessible, and high-profile events like Evo are getting more and more attention," wrote one developer. "Creating a game as an eSport causes it to become a hobby and an interest outside the act of playing it," wrote another. "This increased engagement is one way of allowing a game to become part of a player's life in ways that [don't] require them to always be investing their time into playing it." 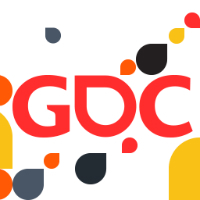 For more information about the 2015 Game Developers Conference or to register online, visit the GDC website.